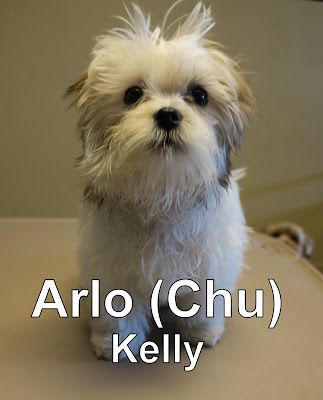 Arlo was today's assessment that joined our Small Dog Program. He's a four month old, five pound Shih-poo. Shih-poo's are a mix between a Poodle and a Shih tzu! This little guy was definitely a site for sore eyes. He loved getting familiar with all his new play buddies, and mingling among the pack.